BTS is the top singer in terms of brand value for October. 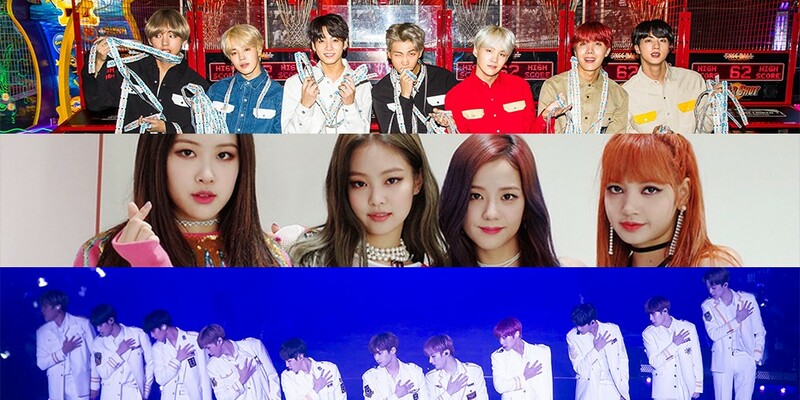 According to the Korea Institute of Corporate Reputation,�BTS was at the top of the October data, followed by�Black Pink and�Wanna One.�106,532,910 pieces of data were examined from Sept 26 to Oct 27. BTS had a total of 19,903,080 points, while Black Pink had 8,722,222 points and Wanna One had 7,716,213 points. The rest of the singers ranked were, in order, iKON, IU, EXO, Red Velvet, TWICE, Girls' Generation, Psy, G-Friend, Seventeen, Big Bang, Seungri (separate from Big Bang), A Pink, Oh My Girl, Momoland, (G)I-DLE, BTOB, MAMAMOO, Hong Jin Young, Melomance, Vibe, Lee Moon Sae, Lim Chang Jung, Sunmi, Ben, Lee Soo, Zico, Crush, Eunji (listed separately from A Pink), AOA, Zion.T, Davichi, Roy Kim, Paul Kim, Shawn, Bolbbalgan4, Heize, Ailee, Yoon Jong Shin, Kim Chung Ha, Yang Da Il, Punch, Park Won, Kim Ha On, 10cm, Lim Han Byul, Monday Kiz, and Nilo. BP the only girl group in top 5!! My girls are amazing! I'm so happy to see iKON in the 4th place, but BIGBANG being in 13th is just incredible. Congrats to BTS as well. Wow! I'm sure Black Pink's brand value will increase even more so the next month after their concert and Jennie's solo song (as well as a rumored comeback).